Now that the weather has finally remembered that it's winter in Cincinnati, thoughts turn to cozy evenings at home. Let's face it, though; not every home has a nice fireplace to curl up next to. 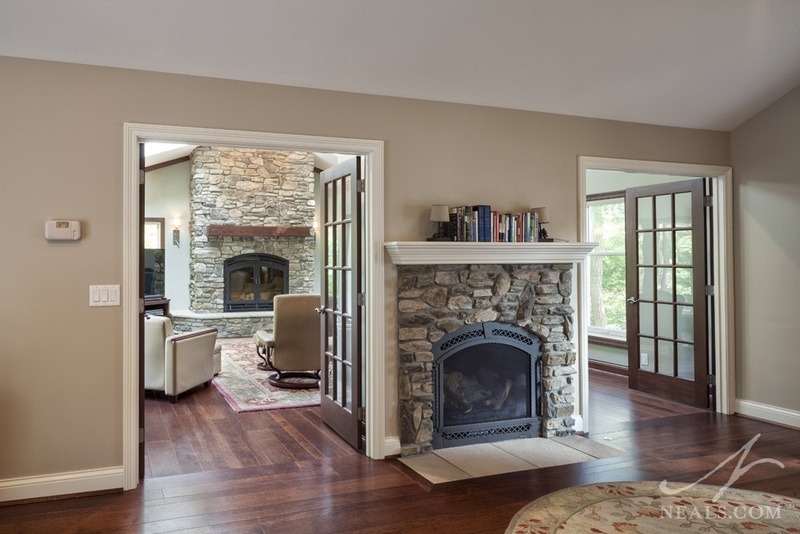 A fireplace remodel is one of the best ways to improve your home interior, any time of year. 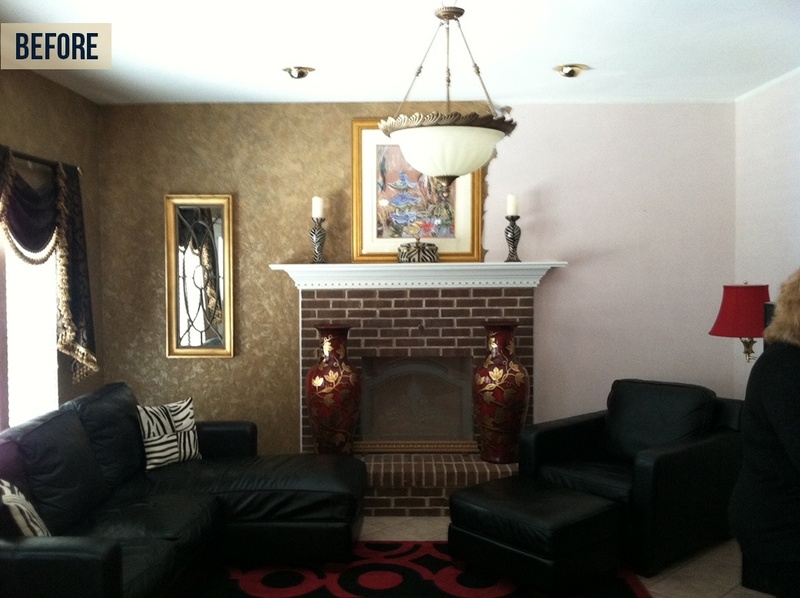 Keep reading for before & after fireplaces we've redone in the area. In some cases, an existing fireplace is perfectly functional, and has some style value, but just needs a face list. This fireplace in Cleves was updated with a new mantle, insert, and some paint to create a brighter and more inviting fireplace in the living room. 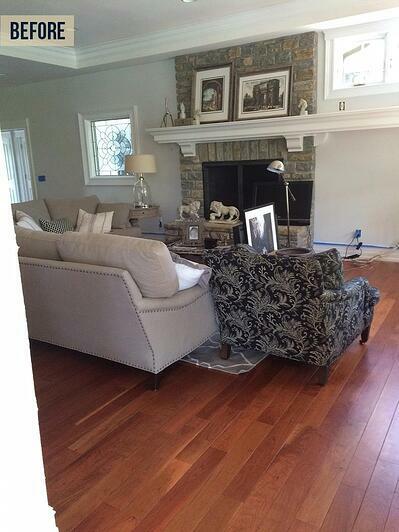 See more photos from this kitchen and living room update project. It can also be the case that a fireplace is fine, but feels disjointed in the room. 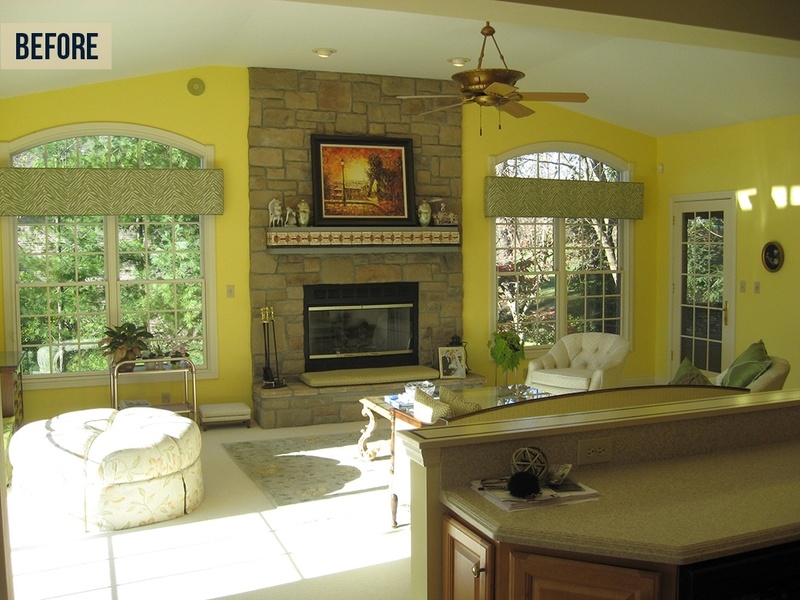 Including a built-in cabinetry solution around a good fireplace is a great option. 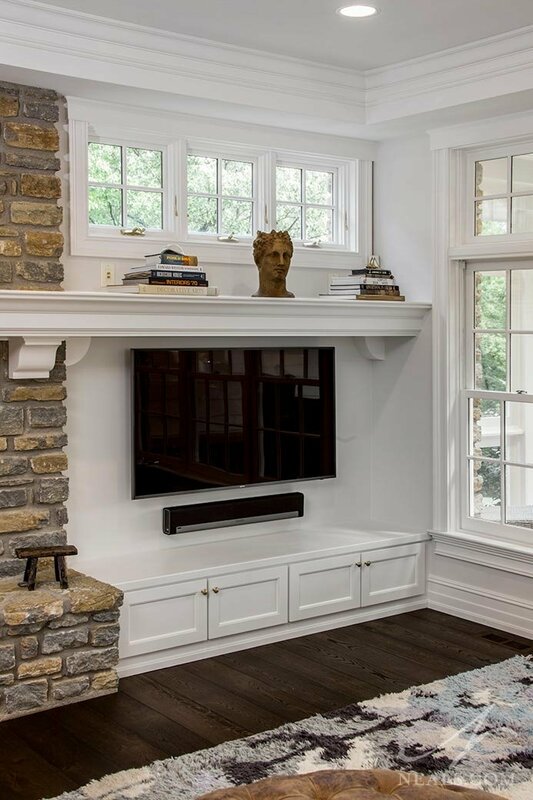 In this Indian Hill living room, a new mantle and cabinet was created that ties the traditional fireplace into the wall with a seamless and modern-minded look. 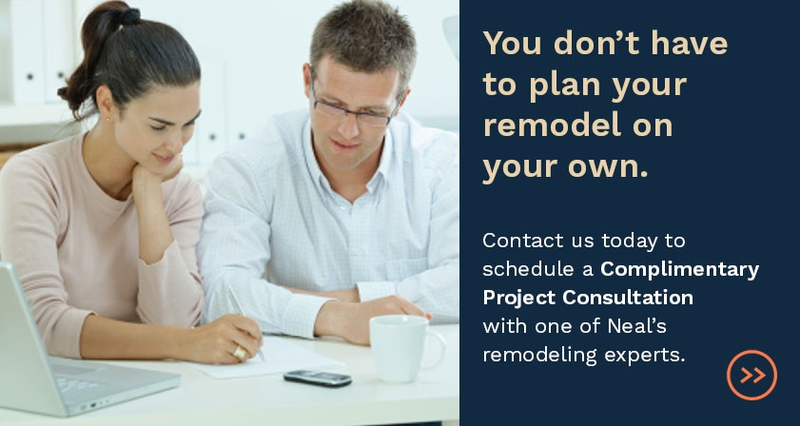 See more photos from this remodeling project. Looking to make your fireplace more grand, but can't spend too much? 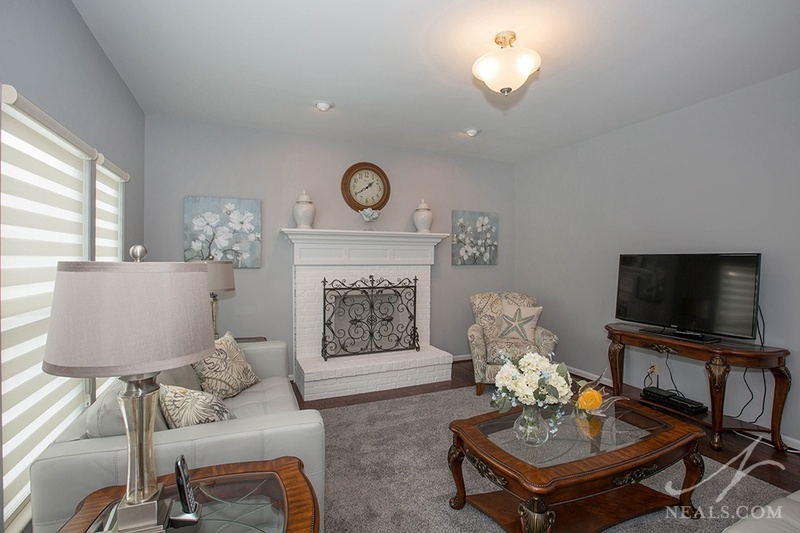 Take a cue from this West Chester fireplace update. To lighten the room, the dark brick fireplace was painted white (which visually tricks the eye into thinking it's larger), then new molding was added under the mantle to raise the fireplace height, giving it more presence in the room. 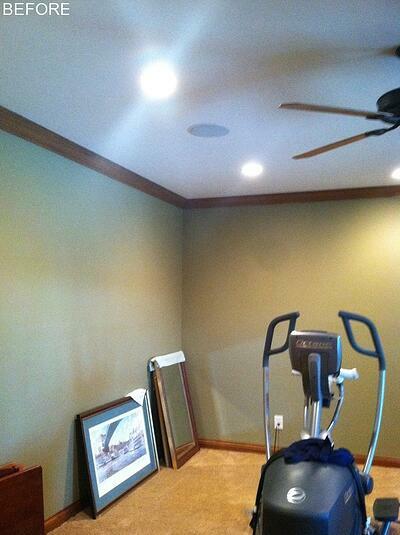 See more photos from this home remodel. 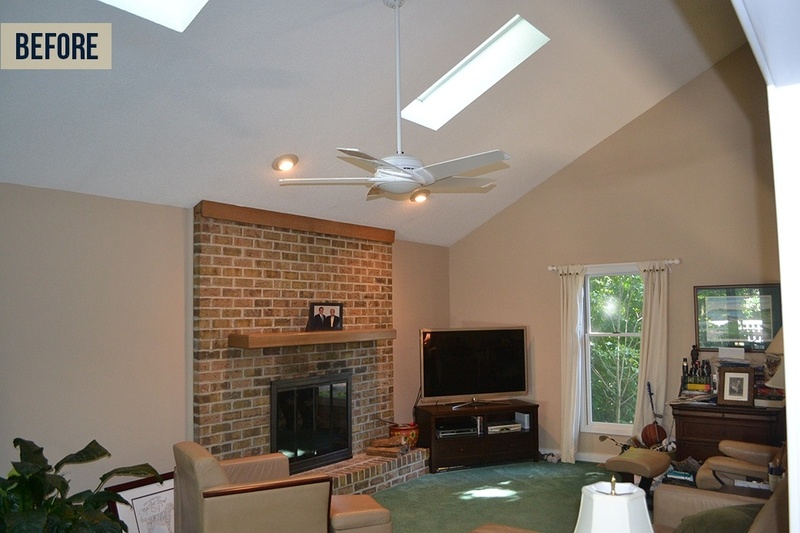 In this Sycamore Township project, a new addition was added behind the existing fireplace. To make the most of it, the original fireplace chimney was retained, but with a completely new facade. A new, grander fireplace was added to the addition, so now the pair of fireplaces keep the entire new space feeling warm and inviting. See more photos from this kitchen & addition project. 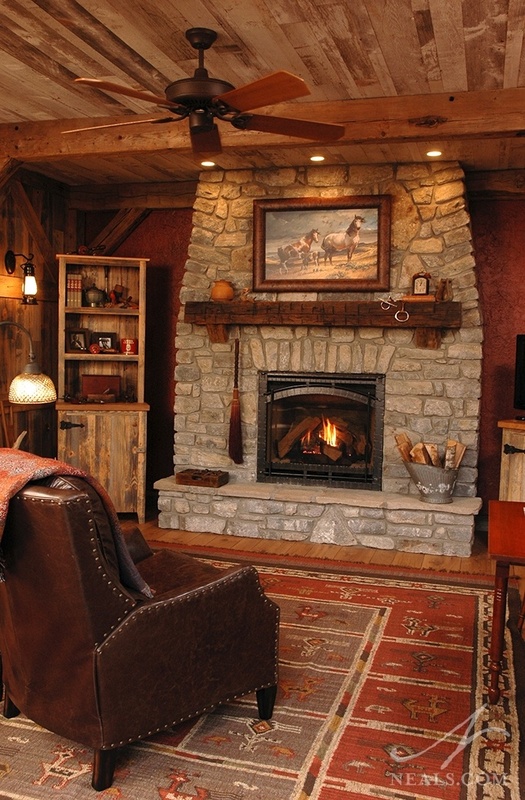 What better way to get that cozy winter feel than a cabin-inspired fireplace? In this Villa Hills, Kentucky, remodel, an underused room in the lower level was redesigned with the theme of an old barn, complete with rustic fireplace featuring a randomly-laid river-rock facade, and a reclaimed wood beam mantle. See more images from this barn room remodel.